This pencil technique makeup might be considered hard to achieve, but it's like drawing on canvas, in this case being your skin :). 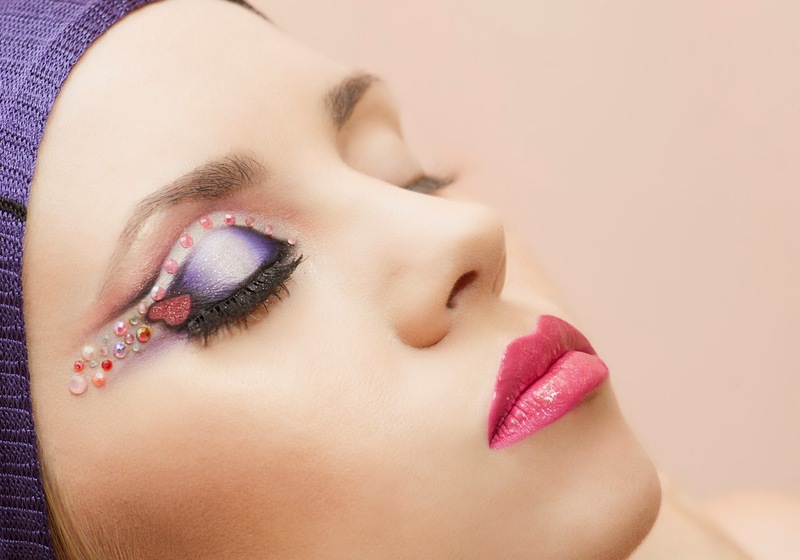 Actually this technique allows you to create fabulous designs on your face: lines, shapes and shadows. First I draw the shapes and shadows I wanted with a black pencil, then I blended out with a brush where I wanted a smooth transition between colors or where I wanted to add dimension, filled the shapes with eye shadow and then applied rhinestones and false lashes. 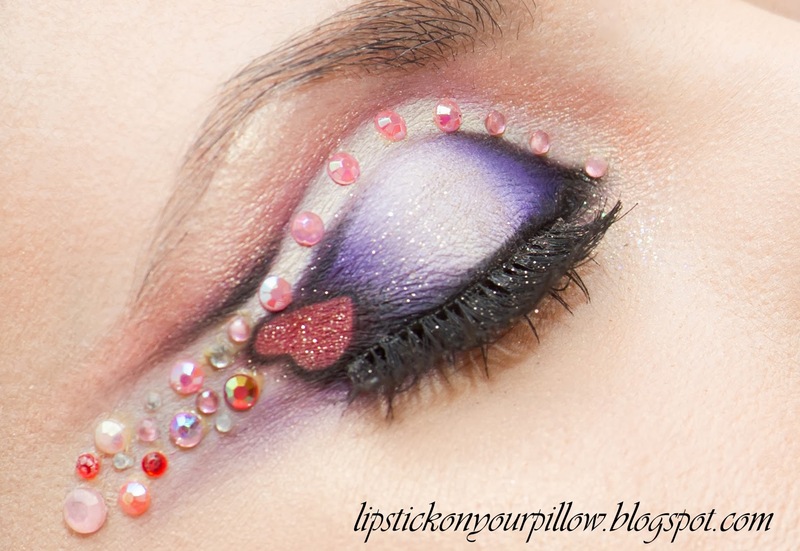 This creative makeup look is inspired by Valentine's Day and I hope you like it. All you need it's practice! Have a lovely week loves, don't forget to comment! If you have questions to ask, please let me know.